thermometer, dial thermometer, pocket dial thermometer, astm thermometer. 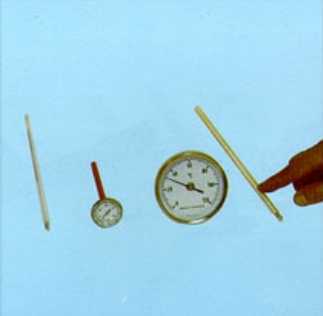 Glass, alcohol indicator, 30 cm length. Stainless steel sterm and housing.